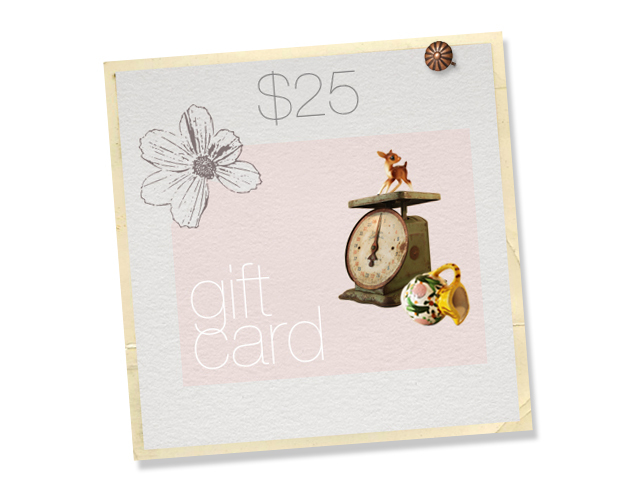 There are gift certificates in the shop now-- in $25 and $50 amounts. They can be mailed via post or email and will include a special coupon code to use during checkout. Give the gift of vintage. Uhm, did you get the memo? These are 26% off, too (until Sunday).